Like so many other firms, Wieden + Kennedy has re-considered its office environments to meet the changing needs and desires of its team members. 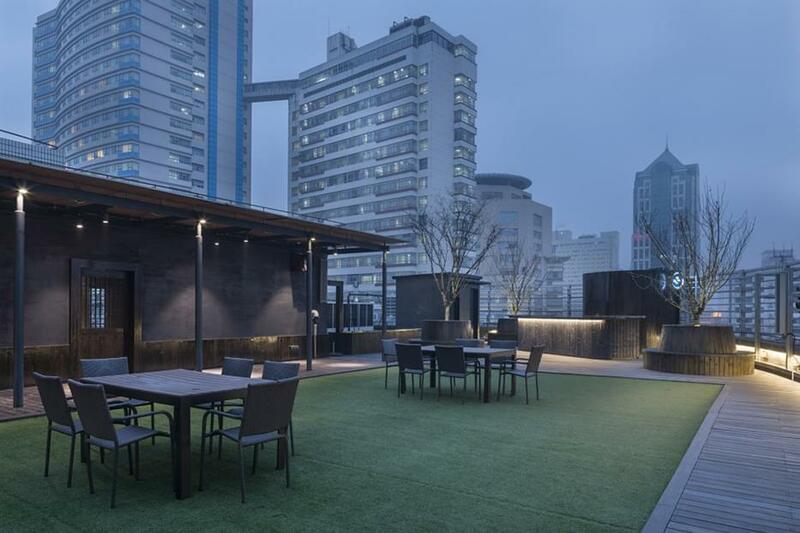 In several of their offices around the globe, including the recently re-configured Shanghai office, the full-service advertising agency has switched, like so many other firms, from the idea of office as a playground to a more grown up version of balance. 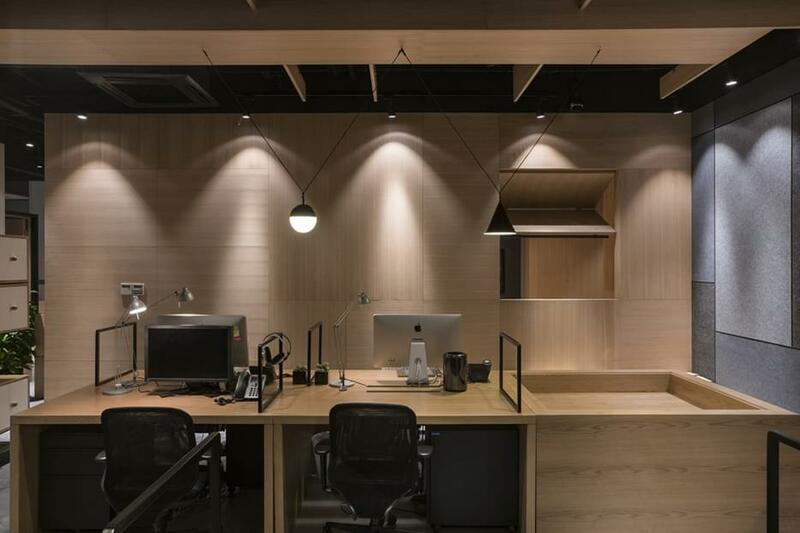 In this spirit, their Shanghai office was completely re-imagined by Dariel Studio. 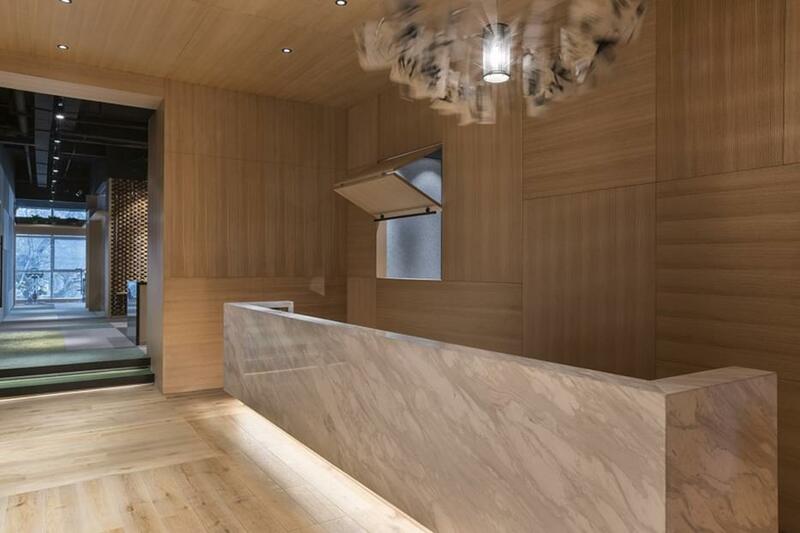 Dariel Studio is a Shanghai-based interior design firm founded 11 years ago by French designer Thomas Dariel. During its first decade, Dariel Studio has completed a large variety of projects ranging from residences to hospitality, retail and offices. 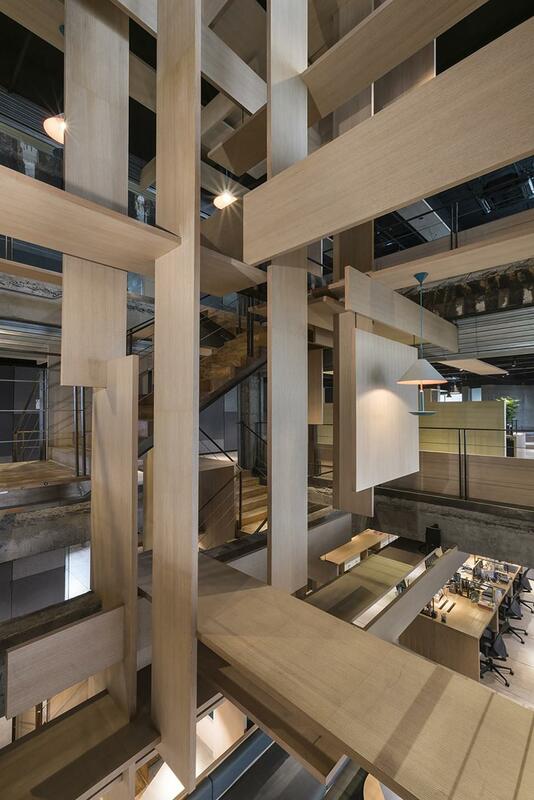 Wieden + Kennedy’s Shanghai office is a 2,081 square-metre (22,400 sq.ft), three-level space located at the corner of Changle Lu and Wulumugi Lu. 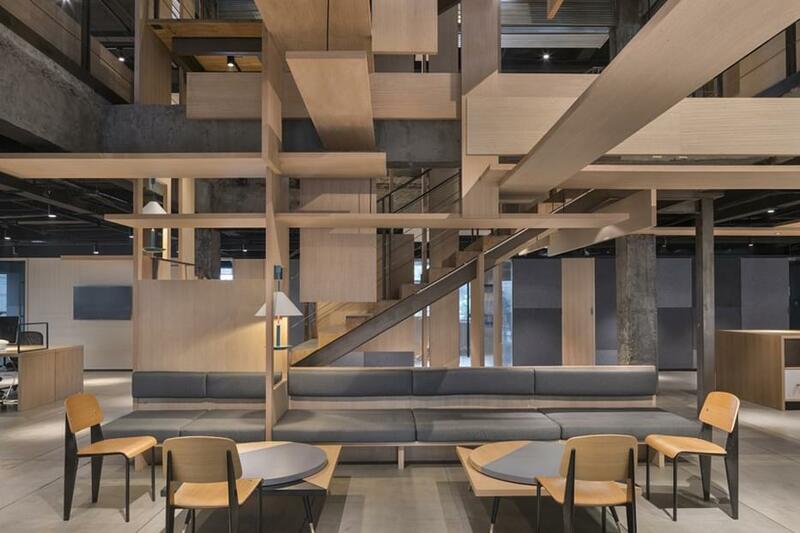 The designers have transformed the massive space from the earlier version with foosball tables and lounging areas to a classy, open space that takes its main design cues from the idea of a tree. 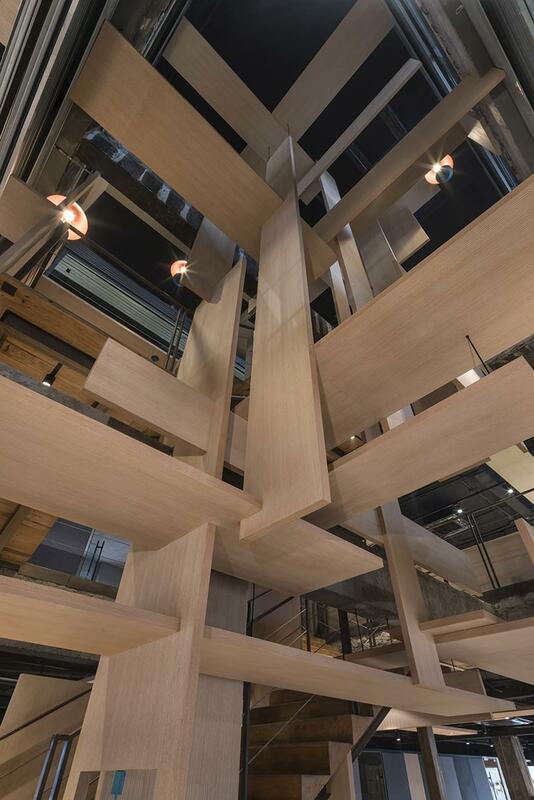 Without changing the core elements of the space, such as the open staircase and the inner courtyard, Dariel designers used panels of light wood to break the monotony of the walls and to create visual interest. And while their design solutions transformed the office visually from playful and casual to a calmer, more subdued monochrome environment, they still met the teams’ continuous needs for interaction, flexibility and balance between open and private spaces. However, this has not meant that it is all work and no play, on the contrary. There is a large canteen with all of the amenities of a fully kitchen and seating for large groups. 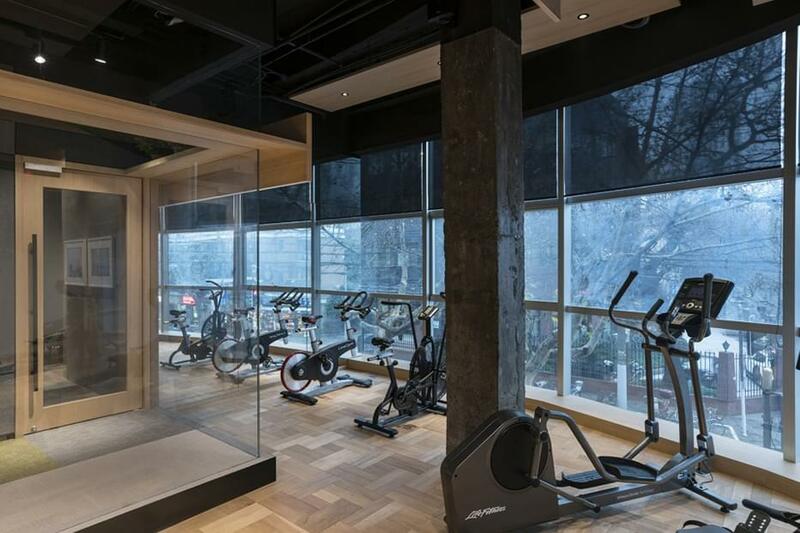 There is also a well-equipped gym and, probably the best feature: a roof terrace.